Spain’s all-conquering coach, Vicente Del Bosque, has been reminding a lot of Newcastle fans just how special one of our players is. In the lead up to the all star Spain v France World Cup qualifier tonight, Del Bosque has been waxing lyrical about Yohan Cabaye. “Cabaye is very creative, he is probably the most talented player that France have. He takes the set-pieces, dictates play and manages the game for them. For the French, he is a bit like their Xavi (Hernandez)”. A slow start by Cabaye this season has brought about over the top criticism by some Newcastle fans who appear to live their lives by the second, never even mind match by match. A combination of non-stop football over the past 12 months and niggling injuries pre-season have undoubtedly contributed to his indifferent form, yet he has still managed some moments of magic such as the sublime through ball for Demba Ba to equalise at Goodison. I don’t know if Newcastle fans are any worse than those of other clubs but we do seem to have a significant minority who go over the top when the players who have given us the most, then slip below their past glories. Only seven matches in and both Yohan Cabaye and Papiss Cisse have been getting undue stick off supporters. Now we have arguably the most successful international coach ever, Vincente Del Bosque, comparing our French playmaker to arguably the greatest midfielder of his generation in Xavi. 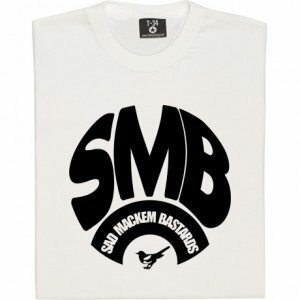 One (football) law I always live by is, ‘Form is temporary, Class is permanent’. The latest issue of The Mag is available now. Only £3. 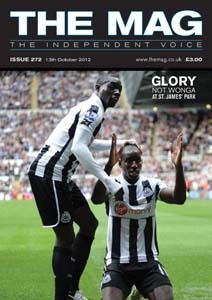 Available online here or in all good newsagents throughout the north east. Why not subscribe? Subscriptions start from only £23. Never miss an issue and delivery direct to your home worldwide. Subscribe here in The Mag Shop.